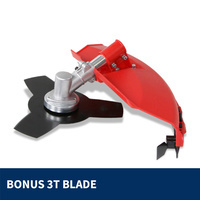 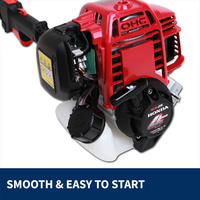 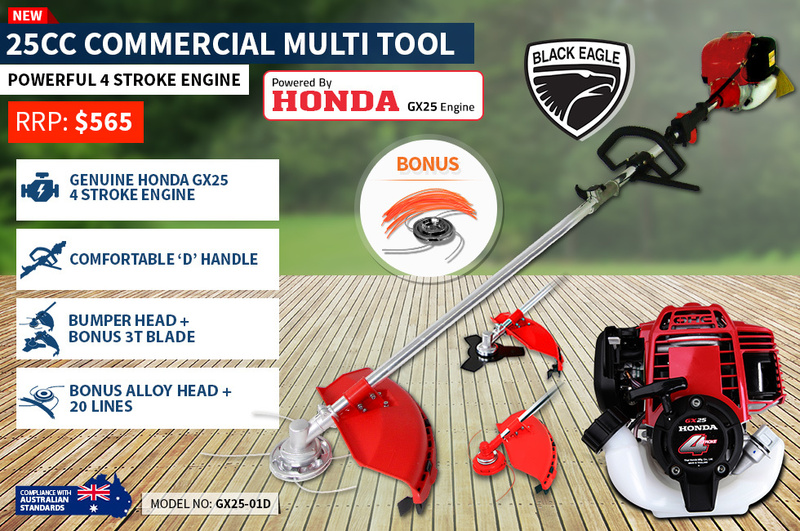 Introducing the new Black Eagle Brush Cutter powered by genuine Honda GX25 Engine. 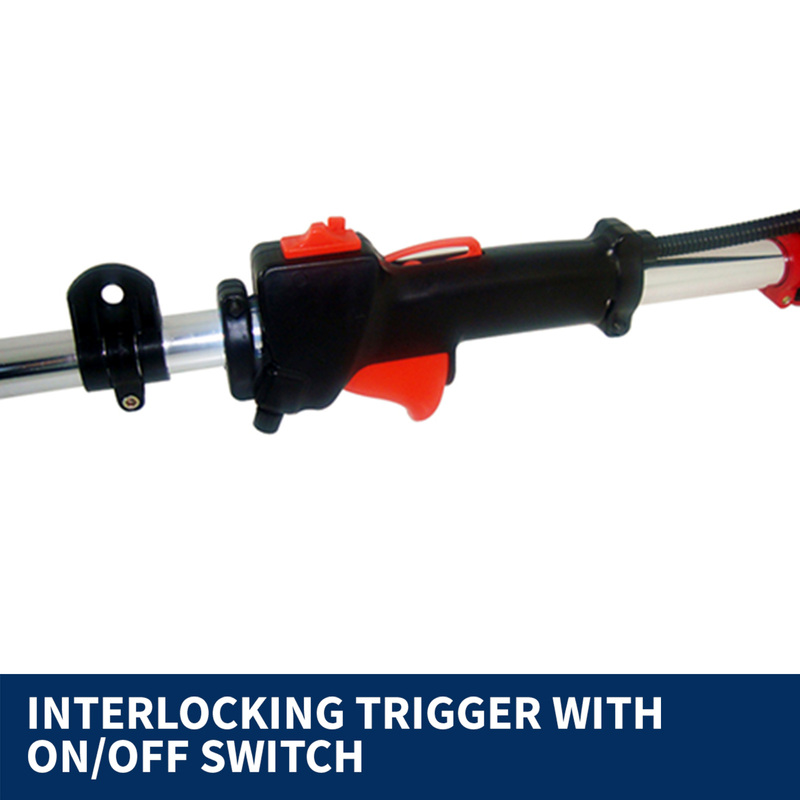 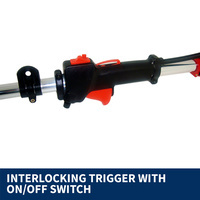 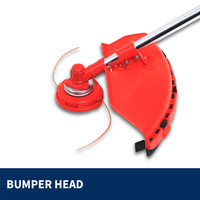 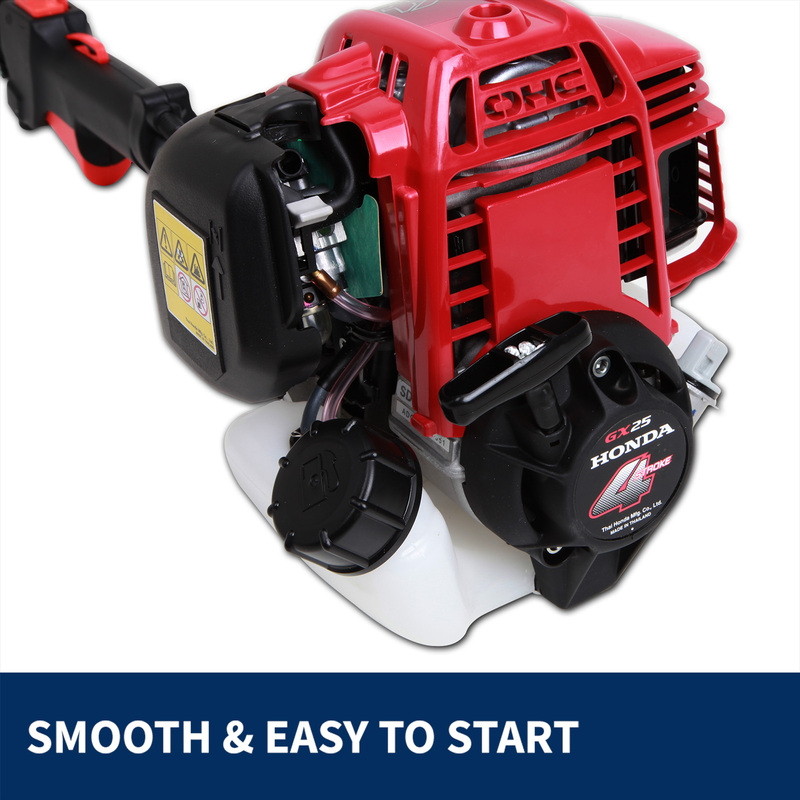 This Dynamic Power 4 stroke engine Brush Cutter is an ultra-lightweight with plenty of power and controlled with comfort-grip handle. 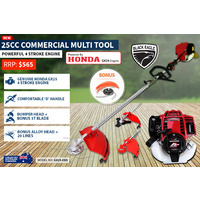 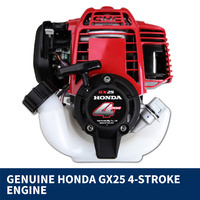 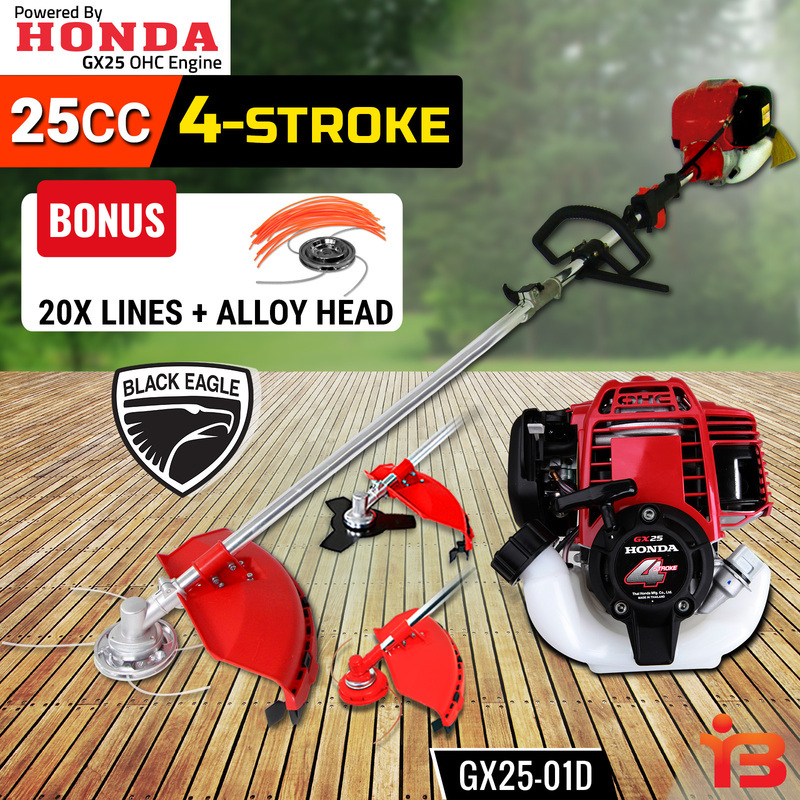 The Black Eagle Brush Cutter powered by genuine Honda GX25 Engine consumes half the fuel and less oil compared with 2-stroke engine, which also increases the life of the Brush Cutter. The Ergonomically designed bicycle handle creates unsurpassed stability, complete safety and maneuverability. 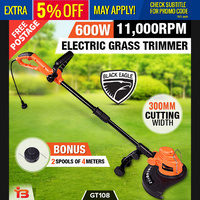 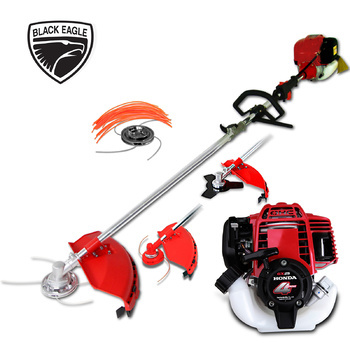 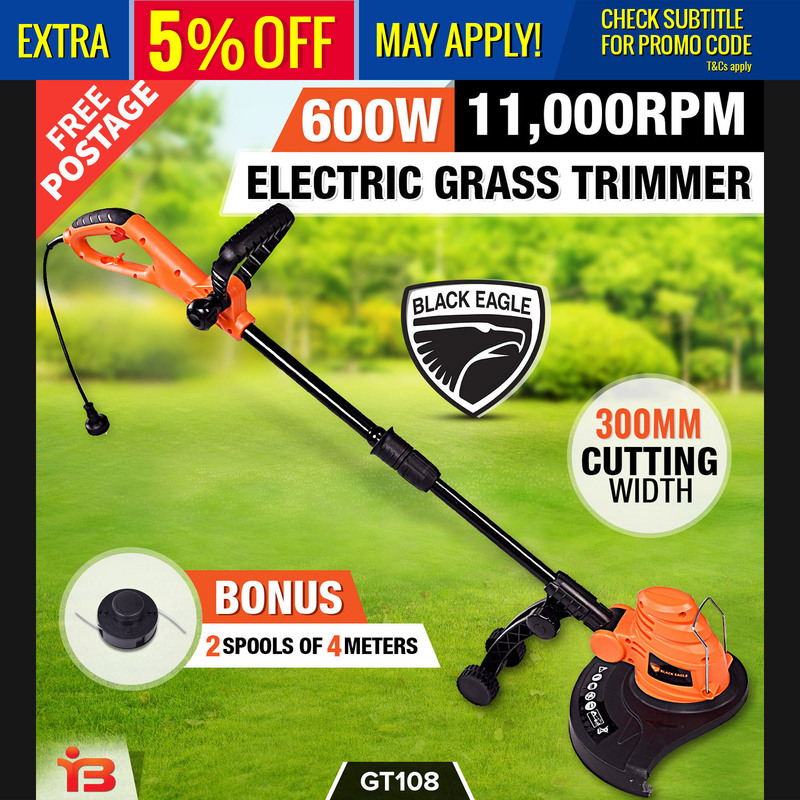 The Black Eagle Brush Cutter is equipped with the best carburetor technology that sends fuel directly to the combustion chamber makes it so easy to start even after storage. 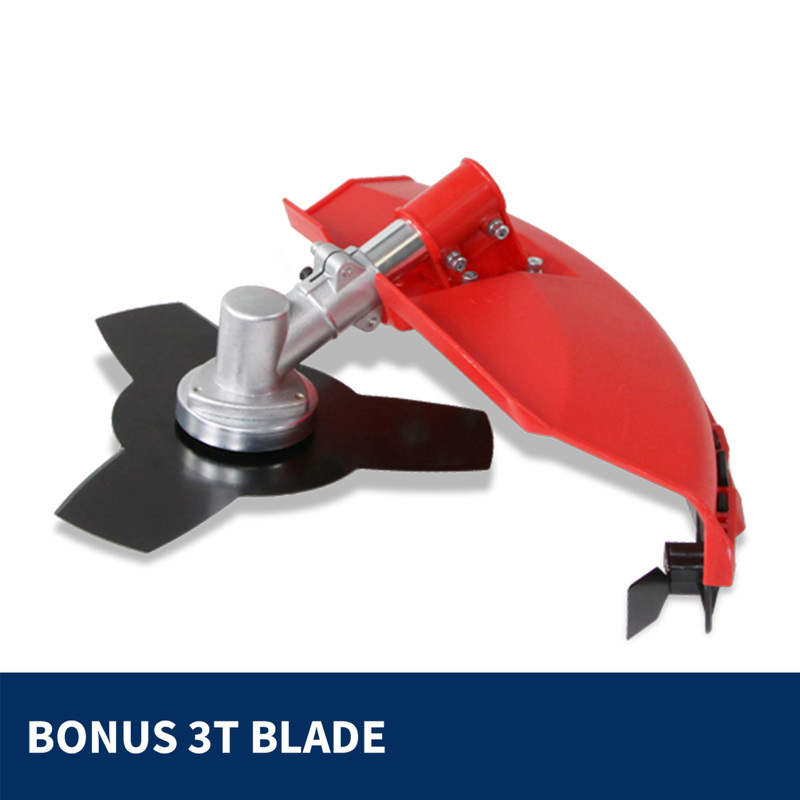 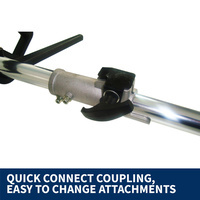 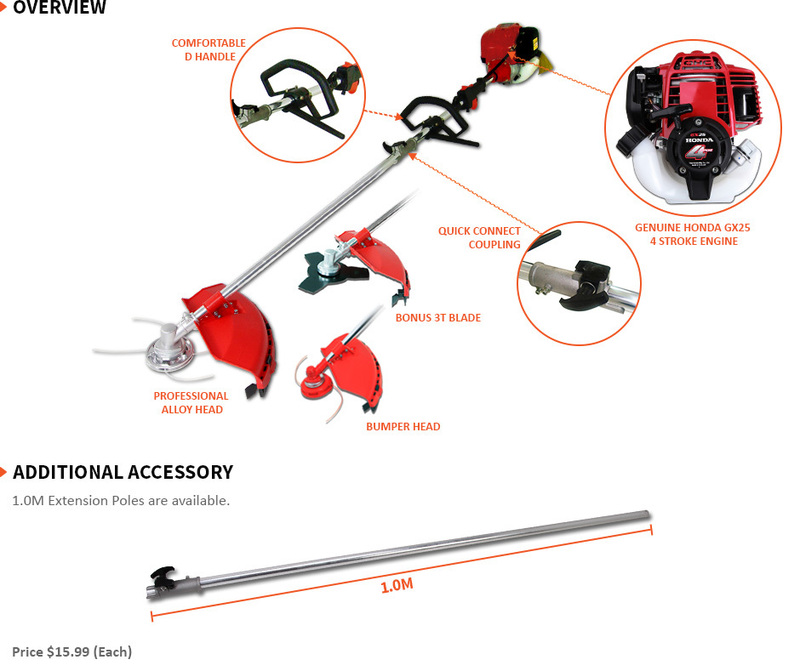 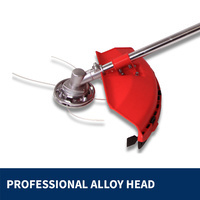 This Brush cutter comes with Commercial Grade Alloy Head, 3 Tooth Blade, 20 Trimmer Cables Bumper head, Tool Kit and for the peace of mind we made sure that spare parts always available. 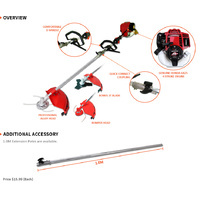 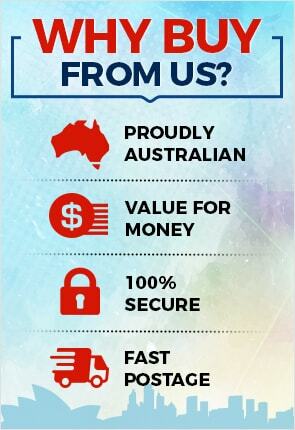 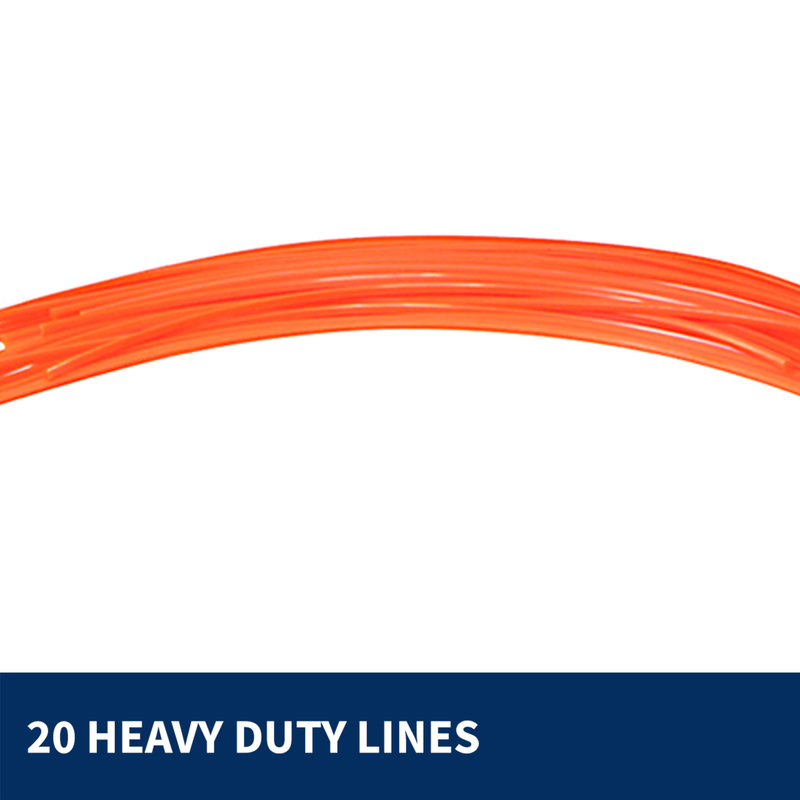 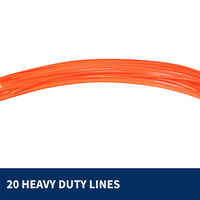 This is the perfect tool for all your garden maintenance.